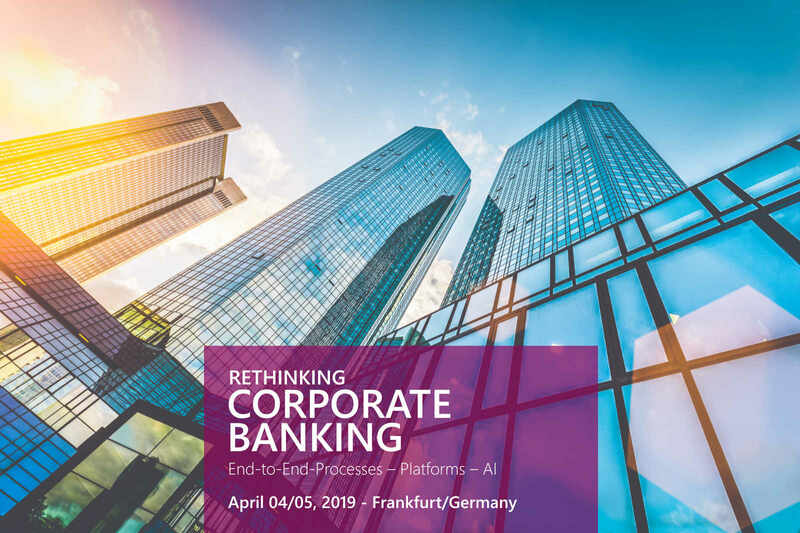 End-to-end processes, platforms and AI – these are the topics that the Euroforum event 'Rethinking Corporate Banking', which takes place on April 4th and 5th in Frankfurt am Main, Germany, focuses on. Insiders of banks and FinTechs will share their knowledge and discuss the most important questions concerning corporate banking. As an official partner, knowis AG is part of the symposium and explains why the journey towards a banking platform pays off for financial enterprises. Corporate banking is in a state of change. This is not surprising for most members of the financial industry, as digital transformation has been casting its long shadow in this area for quite a while. For financial service providers, this means that fast, digital services are in demand more than ever to meet the increased customer needs. A variety of new strategies and technologies designed to help with this process are flooding the market. But which industry trends are actually relevant for the future? Questions like this will be examined at the 'Rethinking Corporate Banking' event of the Euroforum in Frankfurt, supported by experts and decision-makers from the industry. At first glance, the range of speakers appears to be an exciting contrast: A mixture of FinTech companies and long-term established banks. However, this clearly mirrors a current trend in the financial sector taking shape of progressive symbioses between banks and agile digital natives, the FinTechs. The time of isolation seems to be over, the search for a mutual added value is the new goal. Thematically coordinated panel discussions between the expert lectures introduce new perspectives and encourage a joint exchange. Best practices and concrete application scenarios of leading banks already using banking platforms and artificial intelligence will not be neglected either. The first day of the event is all about the challenges and technological opportunities in corporate banking. The important change in the mindset as a basis for further development will be summed up, for instance, in a discussion on April 4th entitled 'Future Platform Banking – Each for Himself or All Together?'. Afterwards, the presentation 'The Change to a Platform Bank – Worth It!' of Gerald Gaßner, CEO of knowis, will transfer this knowledge into practice and explain how the application of digital technologies can fundamentally change ways of working in banking. He explains how a less dynamic monolithic software architecture can be transformed into an agile and scalable future solution using microservices, and how banking requirements can be implemented quickly and easily through predefined solution templates. "To rethink banking does not simply mean to digitalize existing processes", says Gaßner. "In order to be successful on the market in a sustained way, banks must establish a technological and economic network with value-adding connections to third parties." After the discussions and presentations on the first day of the event, participants will gain even more practical insight by visiting the FinTech headquarters. Themed "Experience Corporate Banking and New Ideas" the participants are invited to a joint tour. What the future of corporate banking will look like and how innovative ideas for corporate banking emerge will be demonstrated on site. The second day of the conference will then focus on the question of what motivates customers in today's corporate lending and how banks can respond as effectively as possible to changing customer expectations. Best practices, live demos, Q&A sessions and discussion sessions as well as a networking lunch will round off the event on strategies and future prospects in corporate banking. Will you be there and would like to meet with the knowis experts? Feel free to contact us, we are happy to arrange a meeting. Andreas Plöger is Content Manager at knowis AG and responsible for marketing and public relations. As graduated technical writer he is responsible for the content and structural design of the website, the planning and realization of publications as well as taking charge of press relations.